Bristol, TN/VA -- In preparation for the Grand Opening of the Birthplace of Country Music Museum (BCMM), BCMM's Education Committee wants to ensure educators in both Virginia and Tennessee view the museum as an important educational resource. BCMM is committed to providing interdisciplinary material and experiences that will help teachers and students achieve their educational goals. In order to do so, BCMM is planning an Educators’ Day on July 22, 2014 and two days of in-services for regional teachers on July 23 and July 24, 2014. These events will offer educators from our region a “sneak peek” at the new museum before Grand Opening Events Weekend August 1-3. It will also offer an opportunity to earn professional development/in-service hours. Bristol, VA/TN -- At Wednesday’s press conference, Believe in Bristol, alongside community partners Birthplace of Country Music®, revealed plans for a summer packed with free live music and family fun on State Street and beyond. Border Bash, the twice-monthly free concert series held annually May through August, celebrates its 15th anniversary as a roving mini-fest that has grown to include children’s activities and vendors in addition to live music and much more. Border Bash will take place on the first and third Fridays, May through August. Bristol, TN/VA -- Birthplace of Country Music® is proud to announce Bristol Rhythm & Roots Reunion annual music festival has achieved the esteemed Mayors' Award of Distinction from the cities of Bristol. The call was received from the judges’ committee chairman, Gary McGeough, Thursday afternoon. Bristol, VA/TN -- A press conference was held Tuesday, March 18, 2014, in the atrium of the Birthplace of Country Music® Museum (BCM) to announce a $100,000 gift by Bank of Tennessee to the museum. Bank of Tennessee CEO, Roy Harmon, and Bank of Tennessee Market President, David Wagner, presented the check to BCM Executive Director, Leah Ross, during the conference. Here's a great holiday gift idea. Discount Weekend Passes to Bristol Rhythm & Roots Reunion 2014 will be offered for $40, December 1-31, 2013, just in time for holiday gift giving. Festival dates will be September 19-21, 2014. Bristol, TN/VA -- Despite getting .6 inches of rain on the music festival's biggest day, Birthplace of Country Music®, the parent organization of Bristol Rhythm & Roots Reunion, reports a 10% increase in attendance from their 2012 event. More than 55,000 visitors, artists, vendors, and volunteers converged onto Historic Downtown Bristol, VA/TN for the annual, three-day festival. Visitors from 45 states and 4 foreign countries were represented. Folks from as far away as the U.K., Scotland, Australia, the Middle East, and South America watched the event's live stream from their computers. Brentwood, TN -- The non-profit organization, The Irish Gift, will kick off its celebratory Ireland Immersion Weekend Nov. 15, 16 & 17 at Mountview Mansion in Brentwod with a Friday night performance of “The Mockingbird Sings,” (see below) a musical in development, that traces the roots of country and bluegrass music through Scottish, Irish, Delta Blues and Gospel influences. 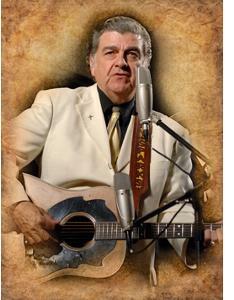 The legendary Larry Sparks & his Lonesome Ramblers will perform at the Cameo Theatre in Bristol, Virginia on Friday, October 25th at 7:30 pm. Sparks is celebrating his 50th year in bluegrass music and this concert will be part of his 50th Anniversary Tour. Bristol, TN/VA -- The "Queen of Bluegrass" Rhonda Vincent met the "King of Racing" Richard Petty along with race star Jeff Gordon, during their appearances at the Food City Family Race Night, hosted in Bristol, TN on 8/22/2013.